Bolts and nuts are typically used together when fastening or joining two or more components or objects together. A bolt is a type of fastener that has a head and a threaded bodywhile a nut features a hole with a threaded interior that holds the male thread of a bolt. 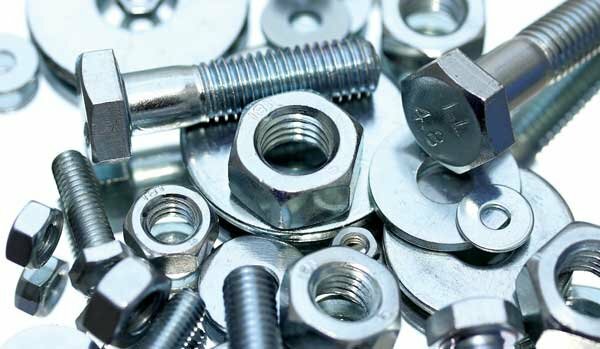 There are different types of bolts and nuts. However, a nut will only be used with a mating bolt because the friction of their threads won’t match otherwise. Both the fasteners types come in a great array of designs. Bolts vary from each other with their head designs, which help in using a screwdriver or other tools for tightening them. Sometimes, a head locks it in a place, so you’ll need a tightening tool only for the nut end. In the beginning, bolts were found with only square heads, but hexagonal heads are more popular these days. They are also available in slotted heads and T-heads. Similarly, nuts are also commonly found in hexagonal shape these days.The vast inventory of nuts includes everything from hardware versions to industry-standard designs such as acorn, barrel, coupling, cage, insert, split nuts, and more. The strength rating of a nut type should be compatible with its respective bolt type. These hardware tools are used in different fields including a wide variety of engineering, automotive, and industrial applications. Their main task is to bind two or more things or components together. Nuts and boltscombinedly provide a strong bond that can tolerate a significant amount of pressure. Their types and styles depend on the requirements of the tasks. Their binding process is simple, but their design and style actually determine the difficulty of the procedure. It also depends on the way the bolt is pushed through an object. A nut and a bolt are designed to clasp together firmly, but they can get loose from each other in some environments, especially if subjected to vibration. There are specialized locking nuts to overcome such a problem but you can also two nuts in such applications. You just have to tighten them to the correct torque. They will stay firmly in the places and prevent self-loosening even if the main joint is vibrated. If you need bolts and nuts for any of your projects, choose them according to your requirements. Focus especially on the head designs because they determine how much torque the nuts and bolts can carry. Previous What are the Requirements for the Selection of an HMI Control System?